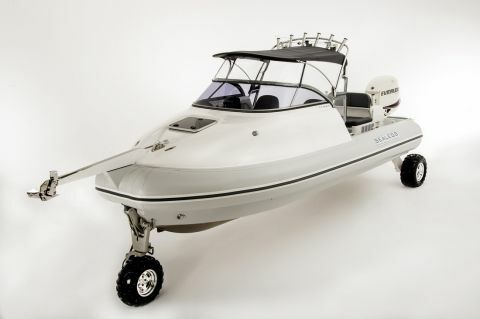 SEALEGS® is a revolutionary patented concept in the power boat market. 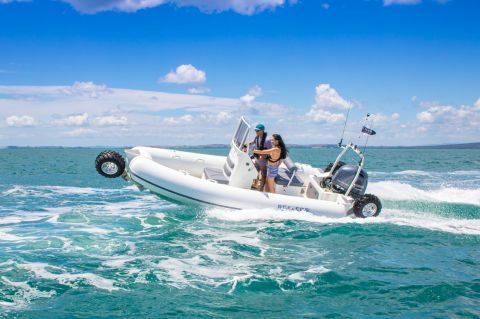 Sealegs has been specifically designed and developed to take all the hassle out of the boat launching and retrieval process.The Sealegs system consists of motorised, retractable and steerable wheels which are fitted to specially designed boats to give users a fully integrated, turn-key package. 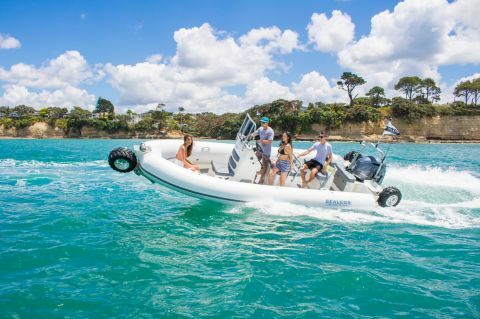 It works by having powerful motorised wheels which give a user variable speed of 0-7km/h (forward and reverse) powered by an on-board 22hp Honda driven hydraulic power-pack. 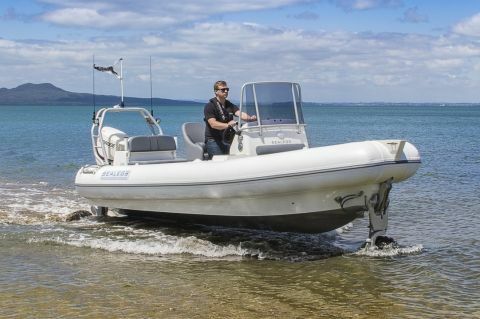 A Sealegs boat can be driven from a storage location, down a boat ramp or beach and into the water - all with the occupants staying in the boat and remaining completely dry! 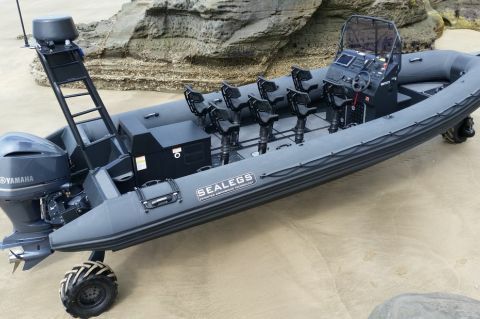 Once in the water, the Sealegs wheels are easily retracted into the "UP" position and are completely out of the water. 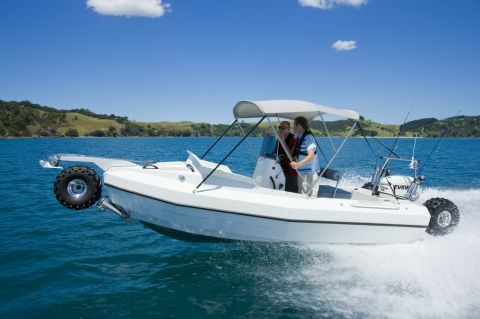 The boat is then driven and used as normal. 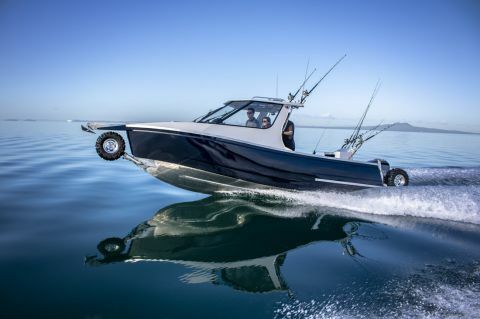 When approaching land, the Sealegs wheels are lowered into the "DOWN" position whilst still moving in the water. 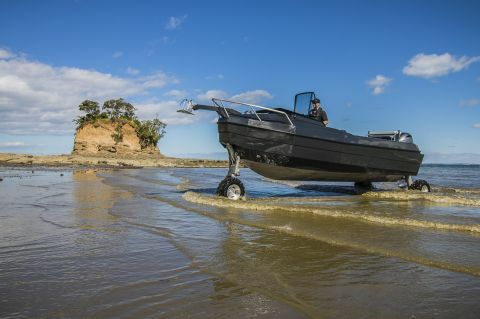 It is then simply a matter of trolling towards the beach and the Sealegs powerful motorised wheels touch the bottom and drive the craft up onto land. The occupants can then disembark, totally dry and safe.